Last week we started looking at evaluating risk. Fundamental to making any investment decisions or constructing a portfolio is the need to have a clear understanding of risk - what it means in practice as well as theory, and what level of risk is appropriate for you and your investment goals & objectives, pertinent to prevailing market conditions. It’s not as complex as it sounds, but it does need to be evaluated objectively, preferably with the help of an experienced professional adviser. This is especially important if you’re planning a discretionary portfolio, where an objective experienced manager with a good track record is essential. Having a clear understanding of a client’s Risk Aversion Profile (‘RAP’) is - or should be - the first step in the portfolio construction process after determining the fundamental objective of the investment. RAP is a fundamental and in theory should not be drastically altered by market conditions: a conservative investor will tend to remain conservative, and an aggressive investor will tend to remain aggressive. A decade ago that was nearly always true. Nowadays however many investors are swayed by the latest news on TV without having a fundamental understanding of their real RAP, because this was never determined by objective discussion with a professional advisor: their investments are mostly made on whim or fancy. This often results in rash or inappropriate investment decisions being made, which are reversed at the next bit of good or bad news. Such frenetic activity by thousands and thousands of small investors has been one of the principal causes of this year’s market volatility, with record jumps in both directions. Of course, the figures also affect the rest of us, trying hard to remain calm in the midst of the storm, desperately holding on to our seats while others are madly rocking the boat. It takes strong nerves not to follow them. Standardised volatility measures that compare market risk across all asset classes and geographical regions can be applied to individual assets and portfolios. These measure how much volatility a particular asset contributes to the portfolio, and quantify overall portfolio risk - which equates to volatility and potential return, either positive or negative. Most such tools lay in the realm of the professional asset manager with sophisticated computer software rather than the private investor, who generally wants to keep things simple and easy to understand. The easiest such tool to understand is a simple risk scale. On this standard scale 1 = lowest risk (cash), 2 = international bonds, 3 = balanced risk, 4 = major-market equities, 5 = emerging-market equities, 6 = commodities, futures & options, 7 = forex dealing, 8 = mineral exploration, 9 = venture capital, and 10 = setting up a business enterprise. All other factors being equal, a ‘standard’ balanced model portfolio would typically comprise 59% equities, 29% bonds, 9% cash & currencies, and 3% commodities futures & options. Such a portfolio would have an aggregate risk rating of 3.21. But a low-risk portfolio designed to produce income (rather than capital growth) would be conservatively stanced and have an aggregate risk rating down around 1.5-2.5 depending on prevailing market conditions and the client’s particular biases and preferences. A portfolio designed for longer-term capital growth may be more aggressively stanced, and have a risk profile of up to 4.5 on our standard scale, again depending on prevailing market conditions and the client’s particular biases and preferences. Up to 85% of the portfolio might be in a basket of suitably diversified equity funds, with some hedge funds to reduce volatility and increase potential growth. Some investors feel we have reached the bottom of the bear cycle, and now is the right time to go back into equity holdings. There is so much downside to be made up that an aggressive growth portfolio will produce very good results over the coming period - if they’re right. Only after having determined the risk-aversion profile (‘RAP’) of the client, and agreed the aggregate risk rating of the portfolio we’re about to construct, can we proceed to create a model portfolio, or Asset Allocation Matrix (‘AAM’). This determines the proportions of assets - cash, bonds, equities - that will comprise the portfolio, and is custom-tailored to each individual. A risk-management system also ensures that the selected asset mix is in line with the client’s ability to tolerate short-term market swings. Once the AAM has been constructed and its risk-profile agreed with the client, the component funds for each asset sector can be selected. As there are a great many funds available for each asset class and sector, most investors simply don’t have the information available to them with which to select individual funds. By what criteria should these funds be selected? Past performance? Over how long? Star rating? The manager’s consistency? Ah there’s a good one! Personally, I have found that a portfolio manager needs a sophisticated relational database which doesn’t just list the funds that pay to be listed (as in the financial press) but many thousands more. And a filtering system which can apply the criteria you are looking for, to whittle down the enormous list of funds available for each sector to a short-list which you can research individually. Then you stand a better chance of having selected well-managed funds which have demonstrated consistent above-average performance. And that, fundamentally, is what most investors are looking for. I want to take this opportunity to wish all readers a Very Merry Christmas and a Happy & Prosperous New Year. Personal Directions: What is Motivation? Every day I see people rushing to their offices, to their cars, to the next floor up in the building, to the department store. There are people buzzing here and there full of life and vigour. Then there are those who don’t buzz. They don’t walk with a purpose. They move with only half the energy and enthusiasm of others. They seem disinterested and bored and are almost void of expression. I had a colleague once who behaved this way and who confessed to me that she hated her job so much that she had trouble getting up in the morning and making the trip to work everyday. Sometimes she said she would stop the car and have a long debate with herself about turning back. On most occasions, however, she eventually made it to the office where she struggled to keep up appearances and to get things done. All she could do was to count the years, months, weeks then days that would bring her to retirement. My friend was living half a life. Her staff (and family and friends for that matter) were getting half a manager, half a person. She was probably performing at half steam and her company was getting half an employee - a poor arrangement for everyone concerned! But then again, at least she was getting to the office. Some people give up and simply don’t make it. They are so de-motivated that it takes its toll in other ways and more often than not, with serious results. When your energy is low, what, if anything, can you do about it? If your employees are sluggish and lack the passion and drive that you see in all those television ads of successful companies forging ahead, how can you give them a boost? When your kids are despondent and have no desire get out and do things, how can you help? For many decades studies have been underway and researchers in business, psychology and other fields have been working to come up with some answers to these questions. What exactly is motivation? Motivation is basically an internal state of arousal that often precedes behavior. How can you induce an internal state of arousal? In other words, how can you make yourself or others want to behave? How can you get people to strive to achieve? To yearn to reach goals? To desire to be greater than they are? These are all important questions, because if behavior and motivation are not in sync with each other - if people are just managing to drag themselves through the day without any solid purpose to it - then performance, productivity, mood, health, and relationships all suffer. So we have to find out what produces that wanting. What is it that makes us want? Motivation is generated by a variety of factors, some of which we can control, and some of which we can’t. For example let’s look at our genes. We’re stuck with our genes and our genetic make-up constrains how we react to the world. Some people are naturally energetic and enthusiastic; others are more reserved and contained. We also can’t control our environmental backgrounds or histories - the set of experiences we’ve had up till now. We didn’t choose our parents or the neighbourhoods and towns we were raised in, the economy of the country, the news in the newspaper, and so on. But there are several factors that we can manipulate to some extent to boost our motivation and give us an element of control. Factors like exercise, good nutrition, sleep for example. If we are in good health, we are more likely to have energy and be more easily motivated. There are also other factors that motivate us like rewards, challenges, friendship, kindness, security, authority, independence, pleasant environment, creative expression and meaning. Having a purpose to life and work is critical as is setting goals and targets. They all give us a reason for being here. A lot of “success personalities and gurus” would have you believe that this is possible. I personally think that will, or “willpower” plays an extremely crucial part, but willpower alone is not enough for most people. I’ve witnessed many motivational seminars where participants come running out of the room dancing and singing as if they’ve just won the lottery. Sure it’s great to get this “high” and to be buzzing with energy and enthusiasm - but for it to be all powerful it has to have meaning at the end of the day. It has to be harnessed and channelled into action, and it has to have long lasting effects and bring about real results, whether they be on a personal or professional level. The best and most effective way to boost your motivation and to change yourself - and your future - is to combine will with learning and practicing new skills. Acquiring new skills has a number of advantages over trying to work with willpower alone. For one thing, it saves you a great deal of grunting and groaning. Second, it prepares you for the long term; mustering up your courage might get you through the next few minutes, but it’s difficult to rely on in the long term. Third, the right set of skills will help you through changing conditions such as a new place of work or new boss, an unstable economy, or simply getting older. In today’s corporate world, managers have an incredible task ahead of them in motivating staff and keeping them motivated. In achieving this perhaps the most important skill they have to have is to be an exemplary model of high motivation themselves. To be able to demonstrate high energy, commitment and enthusiasm in their work. Then it’s on to learning and to learning not only about themselves, but about their staff - knowing them, their needs and their wants. Want to develop your skills in motivating your staff? If so, please contact me directly by email at [email protected] incorptraining.com or at Incorp Training Associates in Bangkok. Tel: (0) 2652 1867-8 or fax (0) 2652 1870. The Doctor's Consultation by Dr. Iain Corness: Red Eye - and why the drops didn’t work! One question I have often been asked is whether doctors treat themselves, or go to see other doctors like a regular patient? Some people actually think that it is against the law for us to treat ourselves. So what is the real situation? The vexed question is self diagnosis and treatment. Can a doctor adequately diagnose conditions in him or herself? The answer is generally yes, provided that the doctor can properly examine him or herself. The thought of trying to check myself for piles, for example, is ludicrous and needs a contortionist, as would be trying to check the back of my head for subcutaneous scabies - and I don’t want either of them, thank you. The thoughts about all this came after I found another condition I could not treat in myself - a ripe red rip-roaring red eye. Awakening one morning with a painful eye, I found it impossible to try and prise my eye lids open to actually look into my eyes to do the diagnosis. Nevertheless, I gave it a good go, well rather an educated guess is the correct answer, and purchased some antibiotic eye drops at the local chemist down the road. They weren’t the ones I wanted, but were what he had. That was good enough. But it wasn’t. By the next day I had an eye that looked as if it had done ten rounds with Mike Tyson, but checking my ears showed no evidence of injury so that diagnosis was incorrect, so it was time I pocketed my pride and visited a real eye doctor! Luckily my friend Dr. Somchai, the ophthalmologist, was on duty at the Bangkok Pattaya Hospital and he examined my eye using the latest slit lamp equipment and he delivered the bad news - I had a viral conjunctivitis, so antibiotic drops were quite useless (but I had worked that out already)! This is why, for the majority of red eye cases, antibiotic eye drops bought over the counter at the chemists just do not work. But how will you know whether yours is viral or bacterial? Well, you find out the same as I did - you take yourself off to see a specialist ophthalmologist! Dr. Somchai also told me the even better news that 90% of these go into the other eye as well. This I did not relish, as I can assure you that from my side of my eyeball, it was a very painful condition. Surgical antiseptic techniques were the go here. Scratch left eye with left hand only and then wash hands - surgical scrub. Rub right (good) eye with right hand only and wash hands again. Even if it did nothing to halt the disease, I had the cleanest hands in town! So what was the treatment? For viral (not bacterial) conjunctivitis it is symptomatic. The disease runs its course while we give you something to make the symptoms more tolerable. For me, the best was a cold towel (from the fridge) placed over the eyes every hour. And wait for one week! I have read your column on the net version and must say I enjoy it, even if some of the advice is a little tongue in cheek. My wife and I are regular visitors to your country and will be coming over this Xmas as usual (trying to escape the cold of England at this time of year). Since you seem to know what is happening around town, could you suggest a few good restaurants for us to try this time? We enjoy most types of food, and price is not a consideration. Are you inviting Hillary along too? If so, please note my response to Jasper (below) and bring in the VC for the dinner party! However, being serious for a moment, I am not the person to consult on these matters, but rather my sister-in-crime, Miss Terry Diner. In her Dining Out column each week she visits and reviews different restaurants, all cuisines and all price ranges. You are sure to find some places you would like to try. There is also her Dining Out Guide which gives over 50 establishments she has reviewed in the past 12 months, and is available at good book stores for 259 baht, or directly through the Pattaya Mail. Once a week I have a night out with the boys at work. Usually this means I get home in the wee small hours (2 a.m. closing time these days) and sometimes I am a little the worse for wear as a couple of the lads are top drinkers. My girlfriend is starting to crack up a bit about this one night a week. I reckon she is being unreasonable, as I used to get home even later before the crackdowns in the past year. What can I tell her to make her see that this is just harmless fun with the lads and is a break for me from family responsibilities? I want you to change roles with your girlfriend for one night. She is going to go out with the girls from work and is going to come home at something past two, decidedly the worse for wear. In other words, very drunk. Are you going to sit back happily and let this happen every week? Will you happily sit at home and not wonder where she is? Will you sit there calmly watching TV soap operas about cheating husbands and wives (that’s all there is on local TV) and not worry? Or are you going to crack up about it? It is only Scottish stags that are the “monarchs of the glen”. I think you should reconsider your responsibilities to the young lady. And some people told me that chauvinism was dead! After all the time reading your column and enjoying your advice to those needy people I have some uncertainties about you. I recently heard a shocking revelation about you that you are not actually who you say you are. I heard a little whisper that Hillary actually has meet (sic) and two veg and not a couple of fried eggs. The revelation didn’t come out of a bit of bar chat, it came from a friend of mine who works for a magazine publication in Bangkok. The writing style sometimes does not represent the style of a lady, with the comments made! I will still continue to read but I need some assurance. What a silly, silly boy you are! Repeat after me, “I shall not believe anything that comes out of the mouths of journalists, especially ones from Bangkok.” Now write that out one hundred times and send it to your “friend” who “works for a magazine publication in Bangkok.” Jasper, my Petal, even you should know that this is not true. Nobody actually “works” for magazines in Bangkok. All they do is hang around bars and denigrate the efforts of the real hard working people out in the provinces, such as Ms. Hillary. You have hurt me deeply, Jasper, a knife plunged between the fried eggs. I shall cry myself to sleep this evening over a bottle of Veuve Cliquot (vintage, of course). In the meantime I shall have another chocolate. You may placate me by sending quantities of one or the other, but preferably both. The neighbours in our condominium block have a cat. I think it is a kitten, but it is driving us both crazy. The owners are out all day and the cat calls out all day. When they come home it appears that it must be a perfectly behaved little kitty because there is never another mew out of it until they leave again the next morning, when it starts all over again. We have tried speaking to the owners, but they are a European couple and do not seem to understand any English. The condo management says that pets are not allowed. They are in the end unit, so we are the only ones that have to put up with their noisy pussycat. What should we do? Will the management help, we don’t want to be thought of as another whinging farang couple? There are only two people left to talk to here. Management and the cat itself. Since its owners do not understand you, I doubt if the cat will. Invite the management people up during the day to hear it, if it is that bad. Surely you could have thought of this yourself; however, I think you probably are a whinging farang couple. I will begin this week with a depressing thought - everything made by humans and human technology will ultimately fail. The most expensive motor car will eventually have a problem. The space shuttle needed repairs. The most complicated electronic equipment will one day just not work. That is the law! That law holds true for cameras too, no matter how fancy and expensive. 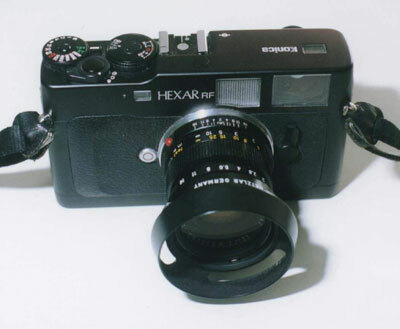 I well remember taking a Hasselblad (one of the most expensive medium format cameras) to Fiji on an assignment and it broke the shaft to make the shutter work. And there certainly was no Hasselblad agent in Fiji! So what can you do to try and ensure your costly camera equipment doesn’t break down at inopportune moments? There is a plan of action and it is called preventive maintenance. The first thing to remember is that cameras are very delicate pieces of equipment. They have lots of moving parts (shutters, apertures, film transport/wind on, etc.) plus expensive optical glass in the lenses, mirror systems and viewfinders, let alone all the fancy electronics, batteries and such. The humble camera is not so humble these days. Let’s start with the outside and clean it. Do not get the kitchen universal cleaner and spray liberally. With a soft brush (like a child’s water colour paint brush) gently wipe the nooks and crannies on the surface. Round the eye piece and all the little edges, and under the knobs. Now dampen a cloth with plain water and gently rub it all over the exterior of the camera body. By now, the camera should be looking like new again - but we’ve hardly started! The next item to deal with is the lens. Gently unscrew the lens and put the camera body aside somewhere safe. With your soft brush gently dislodge any dirt and dust from the lens barrel. What is really good here is one of the soft blower brushes available in most camera shops for around 180 - 300 baht, depending on fancy packaging and a little bottle of cleaner. Go for the brush only type - do not use even commercial camera cleaning fluid anywhere near your camera! Blow brush the lens elements as well (front and rear). Now with a very clean damp cloth gently clean both the front and rear surfaces of the lens. Use a spiral motion to clean from the centre to the edges. Use a fresh piece of the cloth and give it one last swipe. Put the lens aside safely. Now let’s return to the camera body. There are certain things you must never do. You must never touch the mirror or the focussing screen with your fingers. Even to change the focussing screen, you will be supplied with special tweezers by the manufacturer. The other part of the camera that should never be touched with your fingers is the shutter. This is a very delicate part of the workings and can be bent or twisted very easily. The other do not is oiling or spraying with CRC or other similar lubricating fluids. Leave lubrication to the manufacturers agents or camera repair shop only. Now open up the back of the camera and clean the internals with the blower brush again, taking particular care with the channels where the back fits in as it closes. You are quite likely to find small particles of dust and dirt in the cassette holder area, as this is the part you open up every time you change film. The pressure plate inside the back has to be completely clean because the film emulsion runs across it. Any dirt or grit there will leave a scratch on the negatives. The last area to check is the battery compartment. Again, a quick brush and blow should be enough. Do not use the damp cloth in here. Finally, if you don’t know how old the battery is - then change it for a new one. Prawns are a favourite food for BBQ’s and this is a quick and easy recipe to produce some lip-smacking BBQ prawns. The important factor is the preparation of the prawns. Though thawed prawns can be used, it is better to use the fresh prawns. Get good medium to large sized ones and remove the heads, tails and shell. Gently cut the prawn down the back and remove the vein. You can substitute chilli paste for the cayenne pepper, but make sure you dissolve it thoroughly in the oil. In a bowl, add the salt, turmeric and cayenne pepper to the oil. Stir until the salt dissolves. Drop the prawns into the oil and leave for one minute. Remove and thread the prawns on wooden sate skewers that have been soaked in water. Place prawn skewers on the BBQ plate and cook for 3-4 minutes, brushing with oil if necessary. Serve hot. You can make an interesting dipping sauce made from Thai Chicken dipping sauce, rice wine or sherry and ginger syrup in equal proportions.